Brazilian Ambassador to Poland, Mr Alfredo Leoni, was highly impressed with the work completed by AGS Warsaw. The team successfully moved more than 200 boxes of very fragile household items from Poland back to Brazil. AGS Movers Warsaw recently completed a diplomatic cargo move for Brazil’s Ambassador to Poland, Alfredo Leoni. Mr Leoni has served as Brazilian ambassador for several countries around the world for nearly 40 years and most of his household goods included collections of very fragile items. AGS Warsaw Key Account Manager, Piotr Zelwak managed the move of Mr Leoni’s goods from Poland back to Brazil. Piotr, an AGS veteran for more than 20 years, has handled countless moves throughout his career but admits that this move was very special due to its sensitive nature. “The household goods of Mr Leoni included large collections of fragile items such as crystal and porcelain pieces, as well as antique furniture and various works of art,”says Piotr. “The AGS packing team is very experienced and extremely careful with each piece. The packing was performed in the most professional way. Besides for the excellence of its packing team members, AGS also uses solid boxes which adds additional protection and gave me extra peace of mind,” says Mr Leoni. AGS Warsaw packer, Maciej Antczak, who has worked at AGS for more than ten years, handled all the packing for the move. He did an excellent job and successfully packed more than 200 boxes of chinaware. “I am very satisfied with the service received from AGS Warsaw. The team, under the supervision of Piotr Zelwak, was very professional and took care of all paperwork related to the move. Piotr is an industry expert and pays extra attention to all matters related to the move, from packing to shipping,” Mr Leoni added. 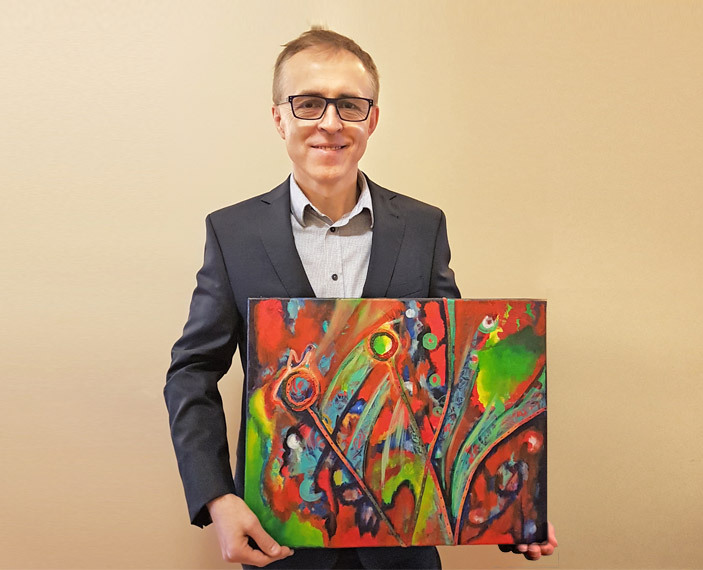 The AGS Group would like to congratulate Piotr (pictured above with a painting offered by Mr Leoni) on completing 20 years at the company. The success of Mr Leoni’s move is further evidence of the great service Piotr has offered during his tenure and we wish him many more successful moves in the future. 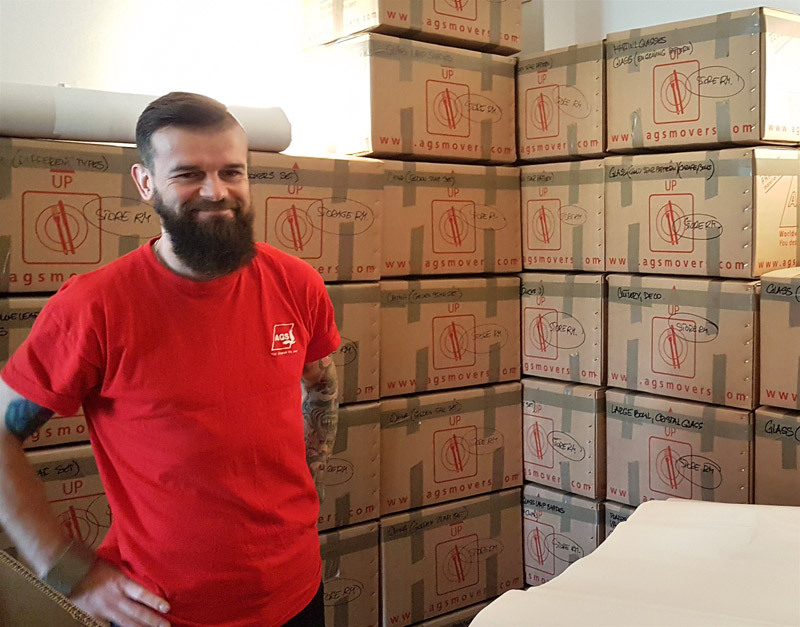 AGS Warsaw packer, Maciej Antczak, brillantly packed more than 200 boxes of chinaware.